Turn your clocks forward one hour. Daylight saving time kicks off the second Sunday of March at 2 a.m. The weekend most Canadians spring forward one hour is also the ideal time to tackle seasonal safety projects. A lot of the routine maintenance on your home and car should be done twice a year, so what better time to start checking items off your "to-do" list? Replace the batteries in your smoke and carbon monoxide detectors, and test both devices to make sure they are in working order. Spring Forward Tip: Don't toss the batteries; there may still be juice in them. They can be used in children's toys or electronic devices. Squeeze out every drop of power, then recycle the batteries. Check your furnace's filter and replace it if it is clogged or dirty. Your furnace filter has been busy this heating season and should be cleaned or replaced at least every two months. Clear all your gear away from the furnace. 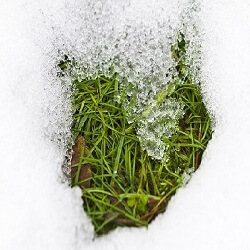 Access to your furnace, and the area around it, should be clear of obstructions no matter what the season. Clean gutters and downspouts to remove debris that may have accumulated during the winter to minimize the chance that spring showers and melting snow cause a leak. Inventory your home's first aid kit and replace items that are expired, or replenish items like bandages that may be running low. Flip or rotate your mattress to prolong the mattress's life, and comfort. If you have a fireplace, have your chimney cleaned so that it's ready for use in the fall. If you're planning to renovate any part of your home this summer, or add in a pool, make sure you set aside time to give your home insurance provider a call. This will help ensure you're properly covered during the renovations and after they're completed. Do not remove your car safety kit! Keep it in your car for the whole year. You never know when you might need that flashlight or those jumper cables. Change your wiper blades. They should be replaced every six months. A change of season equals a change of oil. This will help to ensure your car operates at peak efficiency. Your car's belts and hoses have dealt with extreme cold, snow, salt and sand in the last few months. Get them checked by a mechanic to make sure everything is connected properly and running smoothly. Give your car a good spring cleaning—inside and out—as it has been a long winter. If you change your tires seasonally, you'll want to soon consider putting your all-season tires on. A good rule-of-thumb is to switch when the temperature is consistently above 7°C. Does your auto insurance rate include a winter tire discount? If so, typically the tires need to be on the vehicle from November to April. Live in Quebec? Don't switch your tires until after March 15th; otherwise you could face fines ranging from $200 to $300. If you don't change your tires seasonally, check your tire pressure and treads. If your tire pressure is off you'll notice irregular and uneven wear on your treads, reduced vehicle handling or decreased gas mileage. Pay less for your auto insurance. This is one item you can easily accomplish and could save you hundreds of dollars. All you need to do is compare auto insurance quotes at Kanetix.ca to find your lowest rate.